Elegantly wire brushed surface with hand rolled edges and ends. Beautiful on-trend designer colors for modern or traditional decor. Designer and upscale collection featured at a price within reach. Super low gloss finish for durability and protection. 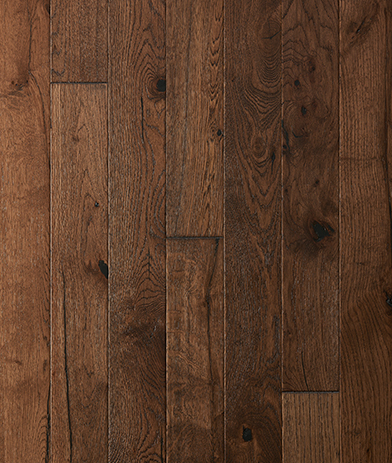 Featuring 3/8" thick, 3 1/2" wide, 15" to 60" long planks-perfect for all size rooms and spaces.